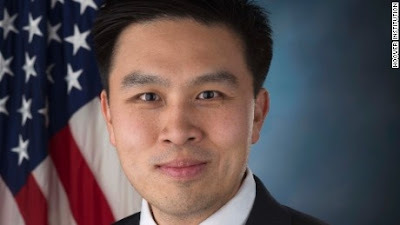 Lanhee Chen, a research "fellow" at the Hoover Institution was on Hugh Hewitt's morning radio show on Tuesday June 7, 2016. This former 2012 Romney policy director and 2016 Marco Rubio adviser is always a good interview by Hugh Hewitt. From the Stanford University Public Policy Program website: "Lanhee J. Chen, Ph.D. is the David and Diane Steffy Research Fellow at the Hoover Institution; Director of Domestic Policy Studies and Lecturer in the Public Policy Program at Stanford University; Lecturer in Law at Stanford Law School; and an affiliate of the Freeman Spogli Institute for International Studies at Stanford University. He is also a columnist with Bloomberg View. His current research focuses on health policy, retirement security policy, campaigns and elections, and California policy and politics." 1. "We [the Republican Party] can't just look at this one election and trying to win one election, without looking at the long game" [about the future of the Republican Party and what we want it to stand for]. 2. "I think this is the first time I have this feeling in my gut, Hugh, that this [Trump's attack on judge] is different and that there is something un-American about his [Donald Trump's] attack on Judge Curiel."